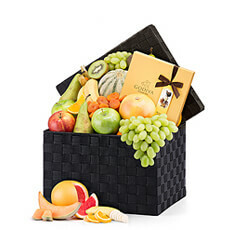 Next day delivery of fruit and chocolate gift baskets to Belgium with seasonal, exotic fruit and exclusive wine since 1998. 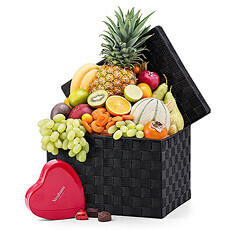 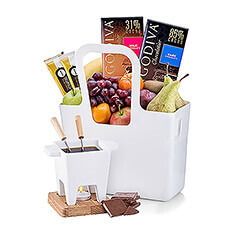 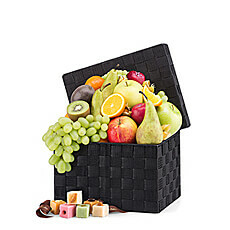 Premium fruit baskets with fine Belgian chocolates and other gourmet delicacies for delivery in Belgium. 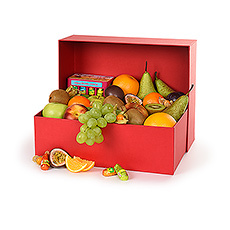 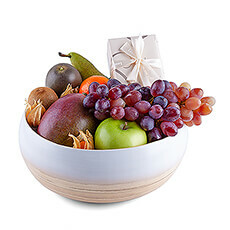 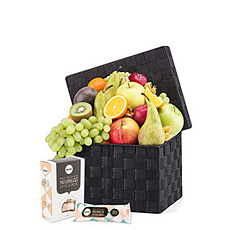 Discover our tempting collection of fruit and chocolate gift baskets for delivery in Belgium. 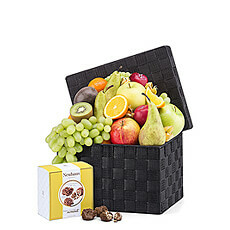 Your friends, family, and colleagues will truly enjoy the classic combination of fresh, juicy fruit and rich Belgian chocolates. 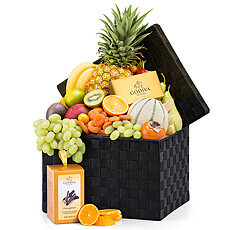 We hand select the most perfect pieces of seasonal ripe fruit to pair with luxury chocolate from Godiva and Corné Port-Royal. 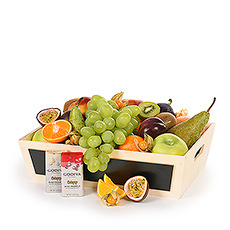 Each fruit hamper is handpacked with special care to for express delivery to Brussels, Antwerp, or Bruges. 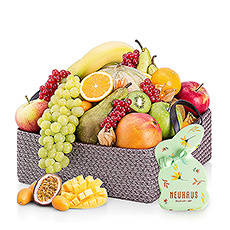 Send fruit and chocolates to Belgium for a birthday, wedding, sympathy gift, to say thank you, for retirement, or as a thoughtful Christmas gift. 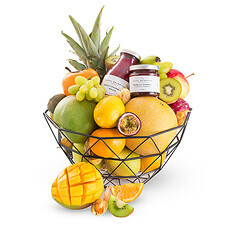 For those times when you want to send something extra special, consider one of our fabulous fruit baskets with Champagne.